Two of these three items were basically handed to me over the previous week: Amazon elected to throw its weight around in an unwise manner, and then a reader wrote to me about an awful experience with malware. I really enjoyed writing this rant about Amazon’s foolish, bullying behavior. Should I have been surprised to see Apple and Google haters unite in defending Amazon’s conduct in comments on this post? I moderated a panel about the sometimes-complicated relationship between startups and big-name companies looking to help them and maybe later acquire them. 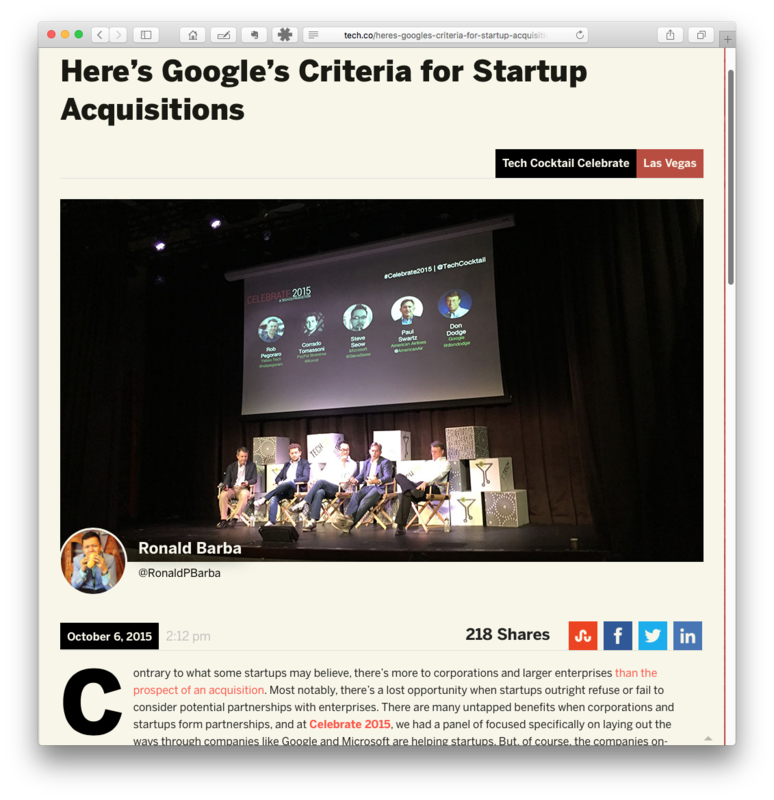 Afterwards, Tech.Co’s Ron Barba wrote up the conversation I had with Google’s Don Dodge, Microsoft’s Steve Seow, PayPal’s Corrado Tomassoni, and American Airlines’ Paul Swartz. Getting this reader’s testimony about the hijacking of his computer was no fun at all. I quizzed a few security experts about what he could do, and their answers did not provide any hop; I hate telling a reader that he’s screwed.